Yatsugatake Fireworks(八ヶ岳ホースショー花火) is one of the main events of Yatsugatake Horse Show. It happens in the end of July at Hokuto, Yamanashi Prefecture. 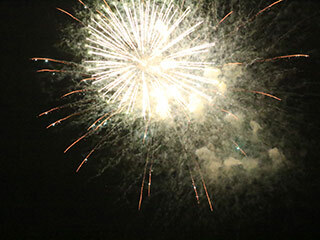 There are about 1500 fireworks fire at the night of Hokuto. It is the finale of the horse show. There are star-mine firewroks, large scale fireworks and Niagara Firewroks. Date: the end of July. Yatsugatake Horse Show Fireworks is one of the firewroks happen at Kobuchizawa, Hokuto, Yamanashi Prefecture. Yatsugatake Horse show happens at the end of July and this fireworks is the finale of the horse show. The horse show has many dance performance events, Japanese drum events and of course the main horse show event. There are about 1500 fireworks including star-mine and large scale fireworks. Also, Niagara Fireworks are breath taking beautiful.